The external and internal environments of the ISS enable validation of technologies for spacecraft and accelerated materials testing. 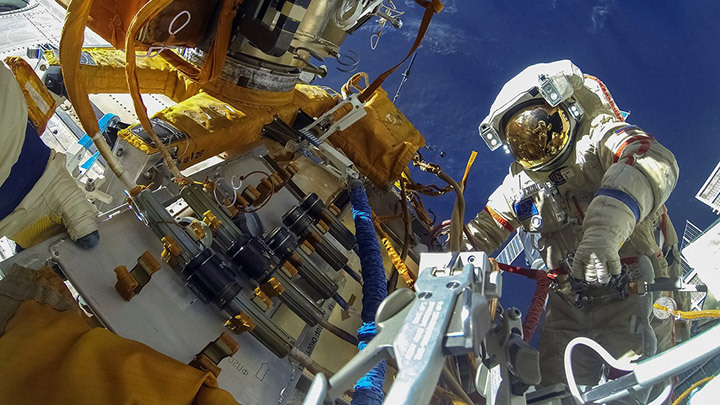 Space-based technology development not only maximizes utilization of the ISS but also paves the way for advanced R&D onboard future space platforms. The ISS enables disruptive technological innovations in computing, electronics, robotics, and hardware prototyping. The ISS allows users to address hardware product development gaps, advanced manufacturing, and emerging technology proliferation. Microgravity-enabled material production capabilities and advanced manufacturing facilities are demonstrating scientific and commercial merit for Earth benefit. In addition to providing a powerful platform for R&D that can improve our quality of life here on Earth, the ISS is also the only long-duration space-based platform available for demonstrating innovations that can expand capabilities for crewed and uncrewed space exploration. The ISS offers technology development opportunities encompassing a broad range of initiatives, from testing of satellite components and sensors to in-orbit manufacturing to operationalizing new facilities for advanced R&D. The role of the ISS National Lab as a test bed also makes it uniquely qualified to support the optimization of new technology advancements and operational improvements toward the commercialization of low Earth orbit and the success of future orbiting platforms. 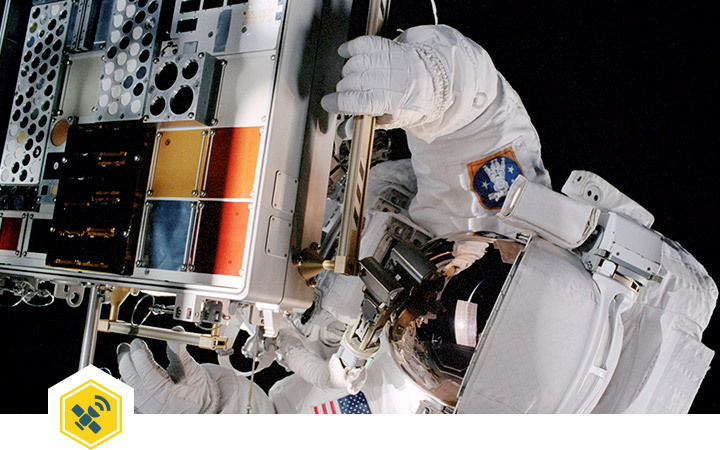 Imaging and sensors – As discussed in more detail on the Remote Sensing page, The ISS National Lab is a powerful platform for the imaging of Earth and space. It is equally well suited to support the demonstration and optimization of new remote sensing technologies, such as advanced sensors (e.g., hyperspectral and thermal sensor technologies) with near-term potential for use in commercial applications or as humanitarian decision support tools. Satellites and spacecraft – As a launch platform and permanently crewed vehicle in low Earth orbit, the ISS supports a variety of satellite testing and demonstration initiatives for research, communications, and Earth-observation purposes. Testing of individual components, such as advanced computing technologies, is also possible onboard the ISS National Lab. Moreover, testing of larger spacecraft for improved reliability in navigation and re-entry of transport vehicles will support the future commercialization of low Earth orbit by expanding the delivery and return capabilities available to commercial users of space-based platforms. Communication – Advanced communications technologies are critical not only for the exploration and pioneering of space, but also for the advancement of terrestrial markets. Advances in global positioning systems for navigation and timing, smart devices for the Internet of Things (IoT), and terrestrial connectivity devices for worldwide internet access all require technologies developed for space to improve bandwidth and signal processing capabilities. For example, space-based R&D in laser communications holds great promise for enabling deep space communication and expanding broadband on Earth. In-orbit manufacturing – In addition to studying materials in space, the production of certain materials via space-based manufacturing may be a viable commercial option for some sectors. For example, quality and performance are greatly improved for optical fibers that are manufactured in microgravity. This provides a competitive advantage that may balance the long-term cost of space-based production—particularly if the commercialization of low Earth orbit continues to improve the availability and affordability of R&D onboard spaceflight platforms. Moreover, space-based additive manufacturing may be a valuable tool for in-space manufacturing and processing. Enabling technologies – The use of the ISS National Lab to demonstrate the utility and success of new spaceflight technologies for innovative R&D not only maximizes utilization of the ISS but also paves the way for next-generation space platforms enabling more advanced R&D. This will help in-orbit research keep pace with terrestrial technology advancements in laboratory equipment and capabilities. An Additive Manufacturing Operations Program allows ISS user communities to perform 3D printing in space. A commercial company has demonstrated a technology for in-orbit assembly and deployment of a nanosatellite system that could substantially reduce costs of satellite systems for space-based R&D. A project has demonstrated the commercial viability of using the ISS National Lab as a reliable and maintainable platform to acquire and rebroadcast extended-range Automatic Identification System (AIS) signals related to maritime tracking. A space industry company has used spaceflight testing to improve a lightweight, inexpensive, low-power, high-performance Dependable Multiprocessor Payload Processor for next-generation satellites. An aerospace company has demonstrated the capabilities of a net capture system for asteroids and other orbital debris with a diameter of 7–10 meters, raising its Technology Readiness Level. A variety of new facilities are enabling advanced R&D on the ISS National Lab in the fields of cell culture, rodent research, protein crystal growth, materials testing, and other fields—all thanks to innovative new technologies from commercial, academic, and governmental organizations. This booklet has been developed to provide prospective technology and advanced system developers the information that will aid in the formulation of demonstration concepts and as an introduction of station capabilities, characteristics, and processes.